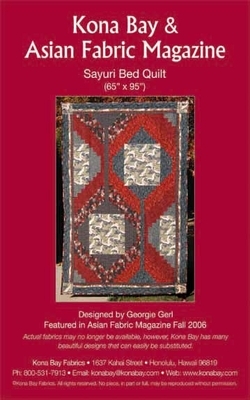 This pattern was featured in Asian Fabric Magazine Fall 2006. Due to it's popularity, Kona Bay is offering this pattern separately. Step by step instructions and pattern included. The finished quilt is 65" X 95".